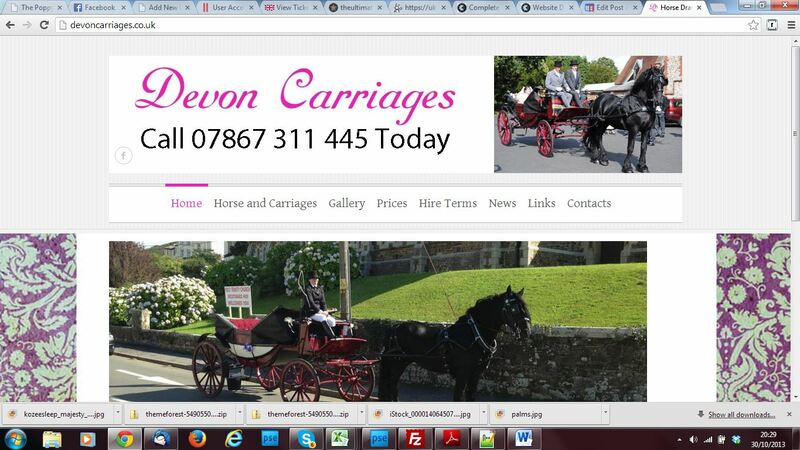 Complete Marketing Solutions have completely rebuilt the website of local business, Devon Carriages. Their previous site was a basic template site that was poorly optimised and left much to be desired on the design front! DC were keen to give their online marketing a complete overhaul and so put their trust in us to to deliver. We built a brand new website, carried out onsite and off site optimisation and created social media channels for them to engage with their customers. Not only has their new website seen enquiries increase, they have also seen the light of the power of social media marketing for bringing new customers ‘on board’!